Whether it’s half a dozen of one or 6 of another, we continually find ourselves contributing to the socialization labor costs as corporations incorporate poverty wages into their wage compensation schemes. The article below may look at how Cook County, IL is looking for ways to combat those practices, but I thought it was apropos as food for thought, as you vet those candidates you choose to support with your coveted vote at the ballot box this fall. Economic justice activists are championing laws that shift the costs of toxic poverty wages from communities to corporations. Imagine if a corporation set up shop in your community and immediately dumped toxic sludge in your local waterways and buried radioactive waste next to your biggest playground. You and your neighbors, I bet, would demand full compensation from that corporation to pay for the clean-up and public health costs. You’d have a strong case. What about corporations that pollute communities not with chemicals, but with poverty wages? The impact can be every bit as toxic, and yet companies that pay low wages get off scot-free. In fact, their CEOs usually get bonuses. Economic justice activists across the country are fighting back against this outrage. They’re demanding that corporate polluters pay a price for low wages. In the Chicago area, for instance, Cook County commissioners are considering a bill that would slap fees on corporations employing more than 750 workers at less than the local living wage — currently $14.57 per hour, or $11.66 with health benefits. Under this proposed Responsible Business Act, companies would pay the local government $750 per employee each year for every dollar their wages fall below the living wage. The bill would generate an estimated $580 million in the first four years. Community stakeholders would get a voice in deciding how to spend this revenue to help low-income residents. For example, some of that money might boost health care options, pre-trial services, and housing assistance. Why not just raise the minimum wage? In an ideal world, it would be the best solution. That’s why “Fight for $15″ campaigns are catching on. Unfortunately, the vast majority of Americans still live in places where wages won’t lift working families out of poverty anytime soon. Low-wage employer fees provide a good alternative by targeting the large corporations that can afford to pay their workers more, but are choosing to drive low-wage pollution instead. This approach encourages these companies to raise wages while leveling the playing field for the businesses that are already taking the high road. As long as poverty wages persist, we’ll all pay the price. Poverty wages leave workers with too little buying power. Local businesses suffer when local people can’t afford to buy their products and services. And young people suffer, too. Researchers have linked high poverty rates to lower educational achievement and poor health. And poverty wages make high poverty rates inevitable. Low-income people, especially in communities of color, also face a far greater risk of being arrested and jailed for minor offenses, leaving them with even higher barriers to future economic opportunities. Who subsidizes these poisonous poverty wages? Taxpayers. To keep their families healthy and safe, low-wage workers have little choice but to turn to public assistance programs. Reforms like Cook County’s Responsible Business Act could help us recoup some of these costs. Large corporations are “socializing labor costs,” sums up Will Tanzman of IIRON, the Illinois-based economic and social justice organization that’s part of a growing movement for the Responsible Business Act. One local poll, he points out, shows county residents favoring the bill by a 2-1 margin. Connecticut activists pushed a similar bill last year. A new law in that state mandates the creation of an advisory board where workers will join employers, public assistance recipients, elected officials, and other stakeholders to develop recommendations for how the governor and state legislators can address the public cost of low-wage work. Activists and elected officials elsewhere, including Colorado and New York, are also exploring the possibility of applying low-wage employer fees. These campaigns aren’t about demonizing public assistance. In the richest country in the world, we should have a safety net strong enough to ensure that all our most vulnerable people live in dignity. That ought to be a matter of national pride. But a system that lets overpaid CEOs underpay workers and then get taxpayers to foot the bill for the damage that results? None of us can take any pride in that. 2016, Candidates, Election, Income Inequalityceo, Chicago, Connecticut, Corporate Greed, fight for 15, IIRON, Illinois, Labor Rights, Living Wage, Liz Ryan Murray, low-income jobs, Minimum Wage, National People’s Action, Pay inequity, poverty, socializing labor costs, Will Tanzman. (SNAP), also known a food stamps, over the next 10 years, and converting it to a flat-funded block grant. He also proposed cuts to Medicaid, a critical program that provides health care to 70 million Americans, including low-income children, seniors, and people with disabilities. And of course, Ryan wants to repeal the Affordable Care Act, which has provided health insurance for 17.6 million people. Bad for seniors. In his 2014 budget, Ryan abandoned the pledge Republicans made to protect anyone age 55 or older from Medicare cuts and instead advocated for forcing seniors to pay more by radically altering Medicare. He also supports turning Medicare into a voucher system, which would increase premiums for traditional Medicare by 50 percent, according to the CBO. Ryan has also attacked one of the other pillars of economic security for seniors: Social Security. Despite the fact that Social Security survivor benefits made it possible for him to pay for his college tuition, Ryan’s 2010 budget cut benefits and privatized a substantial portion of the program, instead of lifting the Social Security payroll tax cap so that the rich pay their fair share of payroll taxes. Bad for women. Ryan’s dismal record on women’s issues has earned him a 0 percent score from Planned Parenthood on women’s issues. He has voted numerous times to defund Planned Parenthood and is a leading advocate for personhood bills. And though Paul Ryan used his power to guarantee time with his family despite his Speaker duties, he refuses to support legislation, such as guaranteed paid sick and paid family leave, to help others have this right. Unlike Paul Ryan, no one else has federally guaranteed paid time off for illness, holidays, vacation, or the arrival of a new child. Women usually still most feel the burden of this lack of paid leave. More than 40 percent of mothers have cut back on work to care for family. And as new research shows that boosting women’s earnings helps slow the growth of inequality, it is apparent that Paul Ryan’s extremism hurts not only women, but also the economy. Bad for the economy. Ryan’s budgets and rhetoric tout the same failed trickle-down economic theories that have only helped the rich get even richer but leave middle class and working families behind. His budget proposed giving millionaires a tax cut of at least $200,000. And analyses indicate, there is no way to implement Ryan’s tax cuts for millionaires in a deficit-neutral way without raising taxes on the middle class. 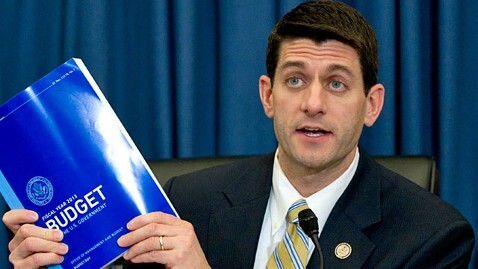 Ryan also advocates for austerity measures that have never worked and would hurt the economy. And yet, his budget advocates for enormous cuts to investments in education, science, and other programs that benefit the middle class. BOTTOM LINE: Though we’d like to hope that Paul Ryan’s new title will cause him to reevaluate his policies and support legislation that will actually help working families, his record of damaging polices creates huge warning signs. If Paul Ryan’s reign as speaker is anything like his record, we’re in for another period of GOP extremism that hurts families, seniors, women, and the economy. But now that the chaos has cleared, Republicans in the House of Representatives should take this opportunity under new leadership to pass policies that support working families, rather than the wealthy few. Republicans in the House of Representatives released a report in February that relies on a misleading and incomplete review of social-science literature to paint the nation’s anti-poverty programs as largely ineffectual and counterproductive. Unfortunately, the review is so riddled with inaccuracies that many of the leading academics cited in it have publicly accused Rep. Paul Ryan (R-WI), chairman of the House Budget Committee, of misrepresenting their work. In reality, there is little evidence to support the report’s conclusion that federal programs exacerbate poverty by creating disincentives for people to work. Rep. Ryan’s report relies on a combination of overstating the evidence, ignoring relevant studies, and simply misrepresenting the research to make the argument that the safety net creates a “poverty trap.” This issue brief reviews economic research on the effectiveness of anti-poverty programs; a significant body of research demonstrates that not only have anti-poverty programs successfully raised millions of families out of poverty, but they also increase the economic mobility of recipients and support broader economic growth. For the past three years, House Budget Committee Chairman Paul Ryan (R-WI) has been trotting out the same conservative, top-down policies that have failed the nation’s middle- and working-class families, seniors, and the economy. The House Republican budget is built around the tenet that nearly everyone else must sacrifice in order to continue to give billions of dollars in tax breaks to millionaires, big corporations, and Big Oil. At every turn, the House Republican budget reveals its vision of an economy and government that only works for the wealthiest individuals and special corporate interests at the cost of everyone else. Now for the fourth consecutive year, the House Republican budget proposes dismantling traditional Medicare and slashing investments that drive our economy, all while cutting taxes for the rich and protecting taxpayer subsidies for big businesses and oil companies. The American people have seen this before, and we know how it ends—with millionaires, big corporations, and Big Oil as the only ones who are better off. Everyone else gets left behind, and our economy only gets weaker. Read more.